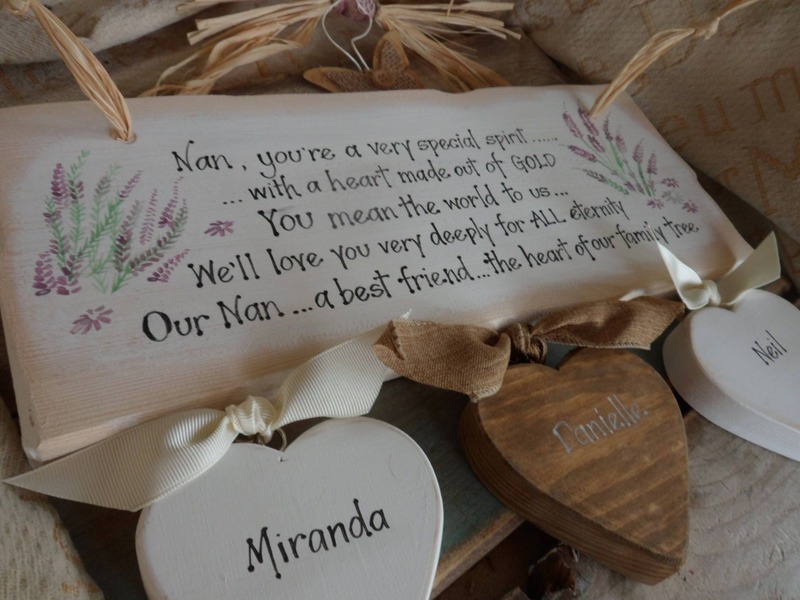 A bespoke and thoughtful personalised wooden plaque especially for Nan, or Nanny and a beautiful keepsake for her to treasure always. 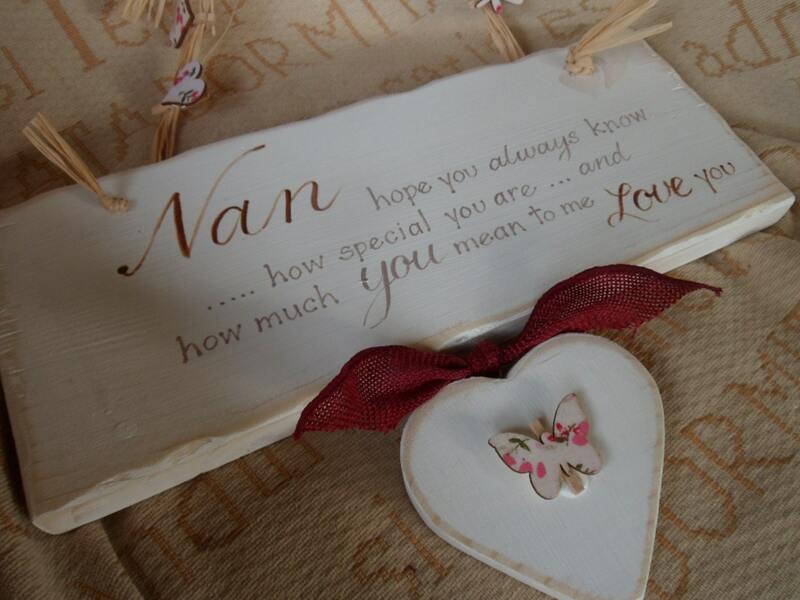 Alternatively Being nana... my happily ever after is also a lovely wooden plaque just for Nanna. 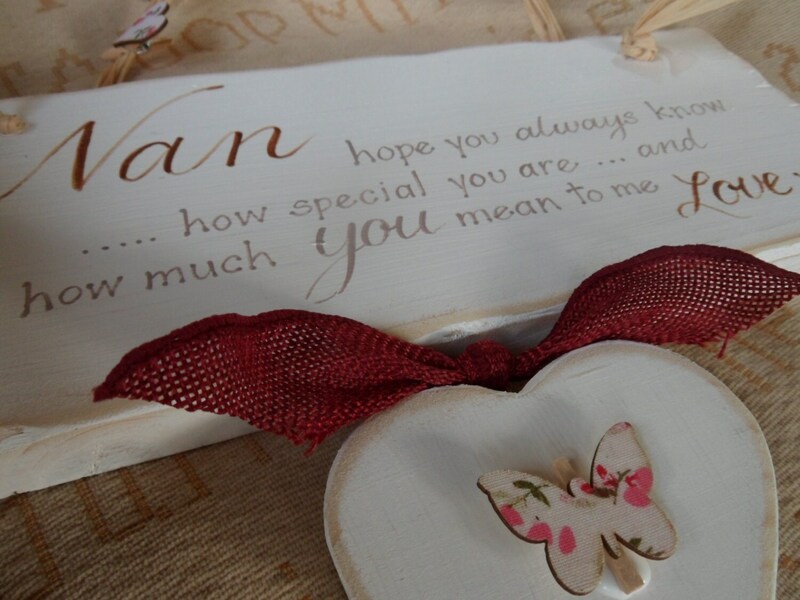 Personalise as you wish with a single heart and butterfly or several hearts depending on the size of your family. 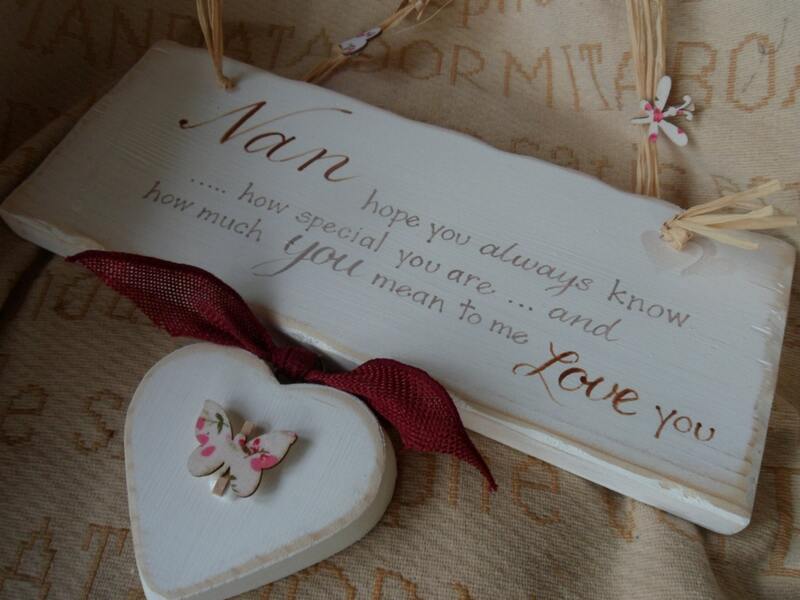 Made in a shabby chic style and sanded back to reveal the wood, this is a beautiful keepsake for any grandparent to treasure. 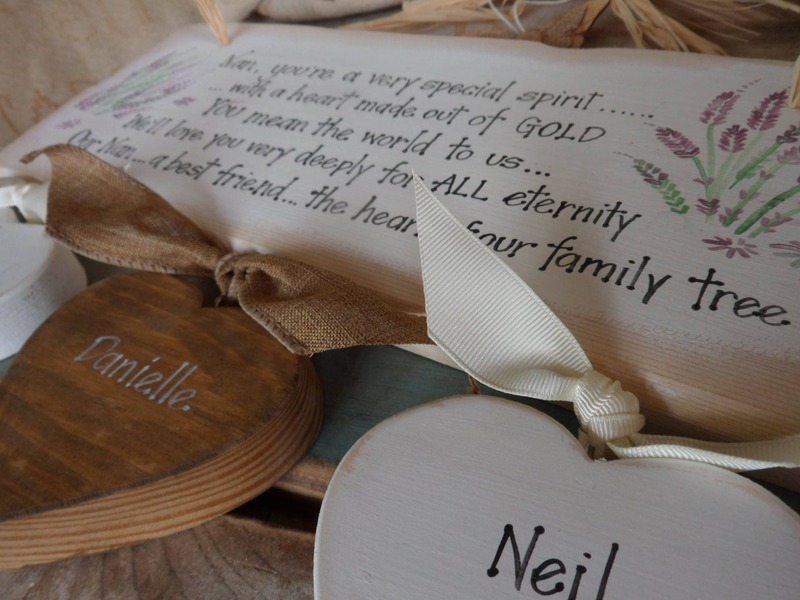 Each plaque is individually made with wood, no MDF. Styles and writing may vary from plaque to plaque. I'm afraid I'm really dissapointed i really didn't like a part of the items design it was suppose to have 3 names on and one of them was so faintly written in white on a completely different colour wood to the others that were black on white wood it looked awful. really struggle to see the name that's written in faint white especially as this was a gift for my nan who's eyesight isn't the best . I messaged with my concerns about the part I didn't like and was told I'd have a matching heart to the other 2 sent out the next day . Giving about a week for it to arrive . It hasn't arrived and now iv got to give this gift to my nan who lives quite some distance away from me about 100miles when im really dissapointed with how it's turned out . It's a birthday gift . It's a nice item but i feel this part ruins the entire piece .